The JEWISH UNITY DAY is a day in which we pay special attention to our national unity. It reminds us as Jews that although we are very different and live in different parts of the world, we are “Kol Ysrael Arevim Zeh Be-Zeh (Talmud-Shawuot 39a), that means obligated to be responsible for each other. Each year, during the JEWISH UNITY DAY in Jerusalem the The UNITY PRIZES are given to Jewish leaders and Jewish leading organizations from all over the world that have made significant contributions to the building and strenghtening of the international Jewish unity. This award was set up by the Mayor of Jerusalem Nir Barkat, the families of Eyal Ifrach, Gil-ad Shaer and Naftali Fraenkel z”l, and Gesher. As the week of mourning for the boys was coming to an end in the summer of 2014, Mayor Barkat and the families searched for the appropriate way to nurture the flames of unity that so engulfed the Jewish people during that time, and keep them burning. 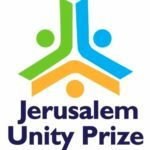 The Jerusalem Unity Prize and Unity Day honor that sense of togetherness and hope that was so tangible during those 18 days from when the boys were kidnapped and until their bodies were found. In 2017, The JEWISH UNITY DAY will also take place in Poland. On this occasion, the Cukunftists are planning to visit as many Jewish communities in Poland as possible and support their local leaders. If you would like to join us on this day or arrange a meeting in your local Jewish community, please contact CUKUNFT (cukunft.wroclaw@gmail.com or www.cukunftpl lor directly www.unityprize.org). We will be happy to answer all your questions and help you with organization and logistics. We are here for you! Cukunft Jewish Association joined the Jewish Unity Day on behalf of the Jewish community of Poland because of 2 reasons. First of all – because it is our obligation as Jews. in June 2014 some of our board members participated in Jerusalem’s marches in support of Israeli goverment’s actions searching for Naftali, Gilad and Eyal. Those marches gave us a glimpse what the real Jewish Unity means – one united heart and voice of the Jewish people standing together in the name of the Justice. So when we heard about the Jewish Unity Day we immediately decided that Cukunft (Yiddish: Future) as a youngest Jewish organization in Poland has to take an active part in this wonderful initiative and introduce it to other Jewish organizations. It was our obligation to Naftali, Gilad and Eyal, their families and for our nation. Secondly, the Jewish community in Poland is very small and we are spreaded among many Jewish organizations that don’t cooperate each other on a daily basis. That is why we invited Jewish communities and secular organizations to join us on this day. Members of three Jewish communities in Wroclaw, Walbrzych and Zary decided to participate in the event. 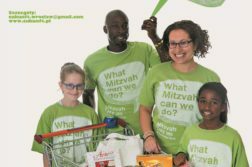 Together we will visit small Jewish communities in Lower Silesia Region of Poland and organize Israeli Days with Jewish music, social activities, sports activities, informal meetings and Israeli food for young and old members of the Jewish community. It will be the great social occasion to spend time together and streghten our Jewish identity. This Jewish Unity Day is the great occasion to unite us in Poland as the Jewish nation with all Jews around the world living in Diaspora and Israel and manifest that Kol yisrael arevim zeh bazeh. That we are one Jewish nation and we are responsible for each other despite of all cultural, social and political differences. Thanks to Israel we feel proud and save in Diaspora.